At least three gunfights were on in as many places in north Kashmir as security forces battled terrorists since morning on Thursday. Two policemen and a civilian were injured in Sopore while two gunbattles were reported later from Bandipora and Baramulla districts. 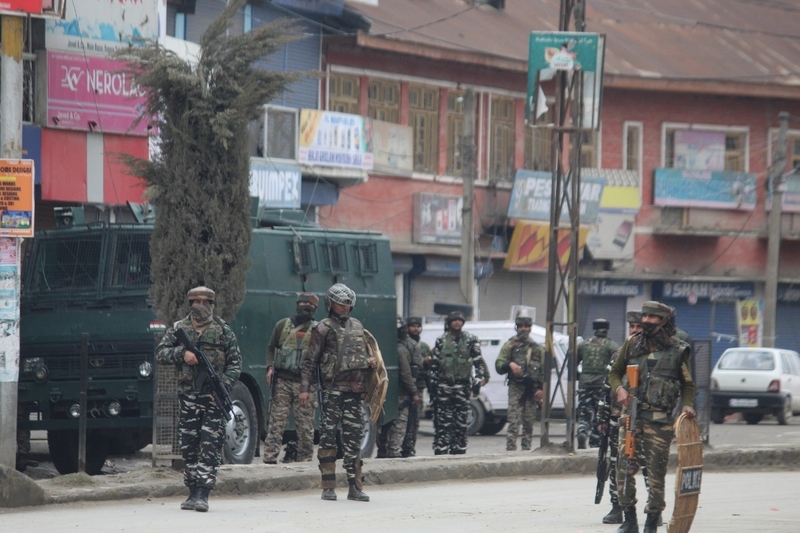 In Sopore’s Main Chowk, the terrorists lobbed a grenade at the personnel injuring the Station House Officer (SHO) of Dangiwacha police station and his security guard. The terrorists were at the time holed up inside a house. The incident happened when the forces started cordon and search operation in the area following information about the presence of terrorists there. Elsewhere in Hajin area in Bandipora district, terrorists who were in hiding opened fire at the security forces in Mir Mohalla. “Security forces are carrying out the operation with caution as two civilians are reportedly inside the house from where the militants are firing at the security forces,” a police officer said. It is noteworthy that Hajin was once considered a zone “liberated” from militant control. The J-K Police said that the terrorists held two civilians hostage during the encounter, one of whom has been rescued. “One civilian has been rescued safely while efforts are on to rescue the other civilian,” the police said. The third gunfight erupted in Kandi area of Baramulla district after security forces resumed on Thursday morning a search operation which was suspended due to darkness on Wednesday evening. Authorities suspended mobile Internet service in Sopore town as a security measure.